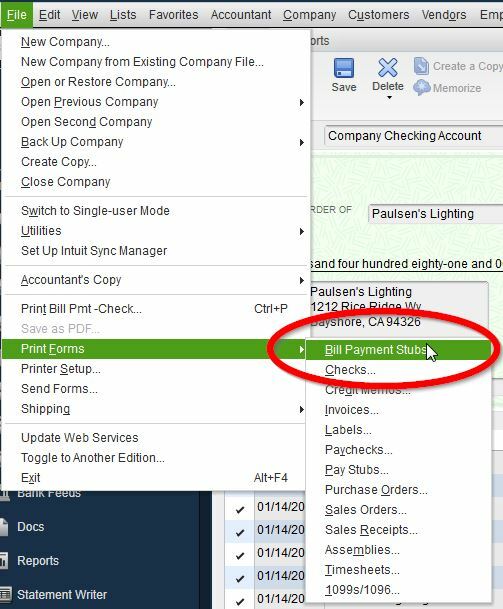 The default AP Check form in QuickBooks Enterprise (QBES) has several limitations, including the inability to customize the form itself. Unlike most other forms in QBES, the AP Check form is one of the few forms that can not be customized, except for a few font selections an other basic options. The AP Check form is limited to printing 15 invoice on the stub. If a single check exceeds this number of invoices to be paid with the payment, you can use the FILE – PRINT FORMS – BILL PAYMENT STUB to print the AP Check Remittance Advise to be attached to the check itself for vendor reference. Please visit our website CBR Technology.